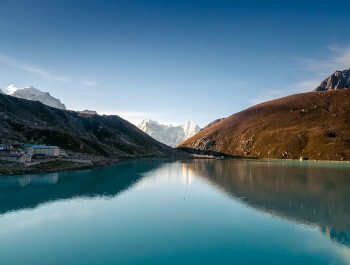 This trek route lies in the north- east part of Kathmandu, travels through pristine forests to the village of Ghoda Tabela, then the valley opens out into a high, Himalayan river plain full of beautiful camping sites, spectacular peaks and wide glaciers. 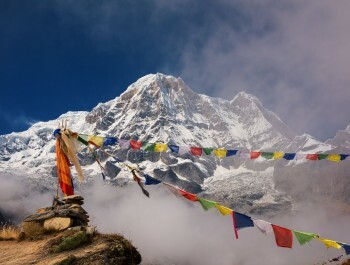 This trek offers pristine mountain views, rich cultural diversity of Tamang, Yolmo and Sherpa people as their typical culture, tradition and lifestyle. 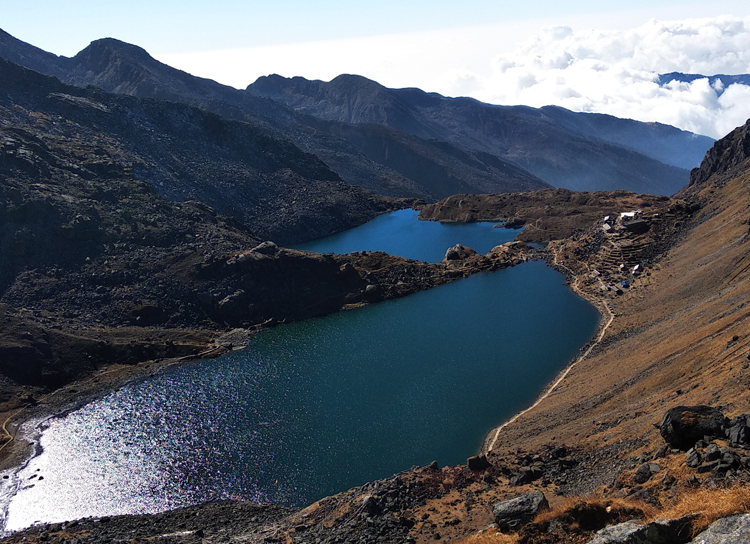 Above Helambu is a mountainpass the lakes of Gosainkunda to the valley of Langtang and offers shorter treks than Langtang-Helambu trekking. 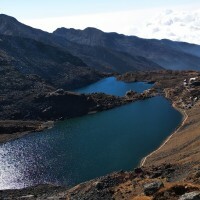 Gosaikunda is the most famous one and situated at 4,380 meters. 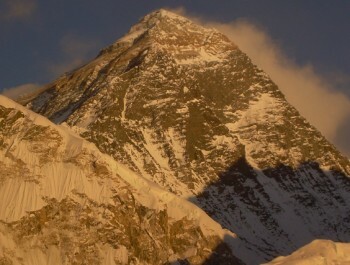 It is believed that Lord Shiva has created it. Its waters are believed to be connected via subterranean channels to Patan's Khumbeshwar Mahadev temple. 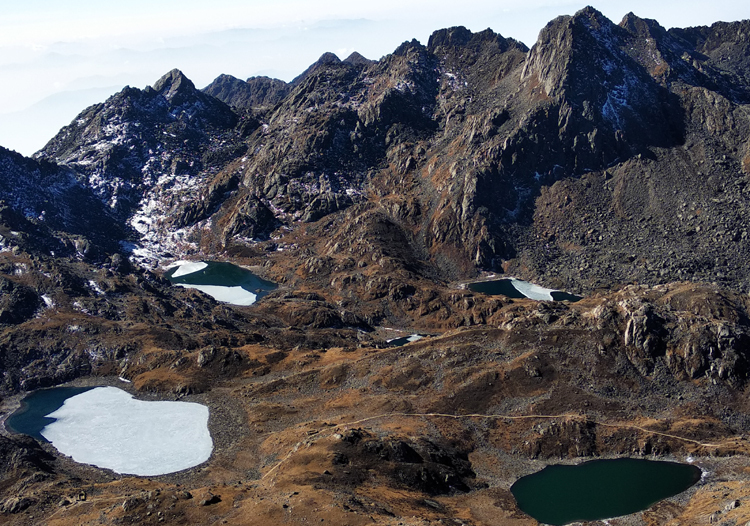 Gosaikunda is accessed either from Dhunche or from Sundarijal in the eastern part of Kathmandu Valley. Thousands of Hindu pilgrims visit these lakes during auspicious day of full moon at August is called the Janai Purnima. 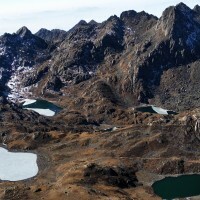 Nearby are other lakes including Nagkunda, Bhairavkunda, Saraswatikunda and Suryakunda. 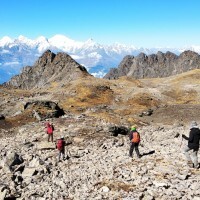 The trek passes through a varied landscape ranging from evergreen forests, cascading waterfalls and turbulent streams to sub alpine grasslands and stark, beautiful mountainsides. Alternative routes from Kathmandu are public bus to Sundarijal or Melamchi. Day 03. Kathmandu to Dhunche (1937 m.): Drive about 10 hrs. to Dhunche and rest. Day 08. 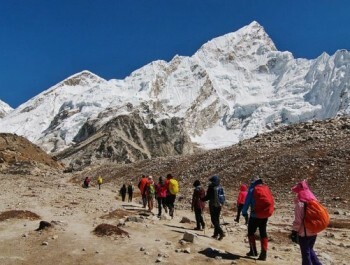 Kyanging Gompa to Lama Hotel: Trek back by same route. 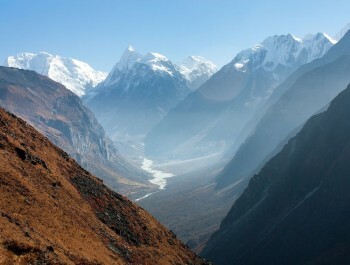 Day 09: Day trip to langsisha kharka or tserku ri( 5450 mtr) then walk back to Kyanjin ri stay overnight at lodge. Day 10. 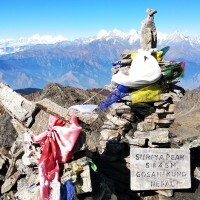 Lama Hotel to Shyabru Village: Trek back by same route. Day 11. 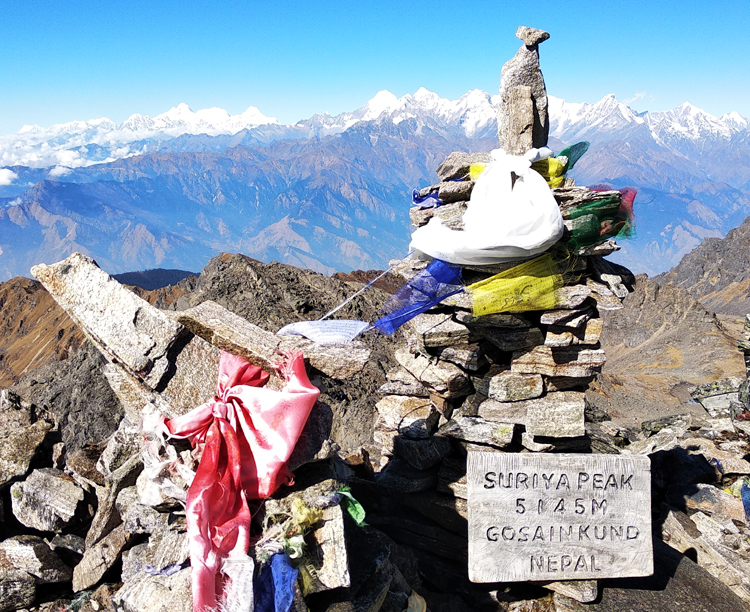 Shyabru Village to Sing Gompa (3254 m)(6/7 hrs. walk). Day 13. 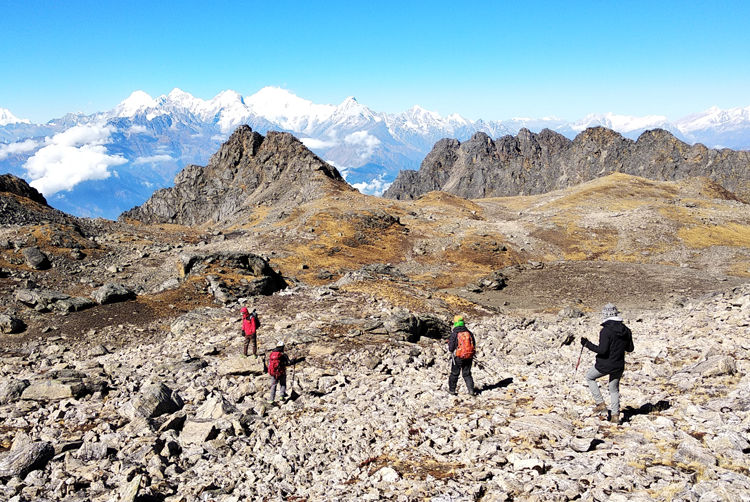 Rest day for excursion(the good-looking of Annapurna range in the west and valley of Langtang Lirung in the north, and also most pretty lakes are Saraswotikund, Bhairavkund and Gosaikund) or climbing to Surya peak 5145m. Day 18: Departure to international airport to fly your home country. 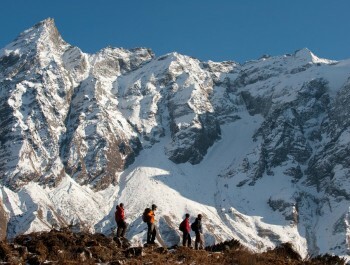 Himalaya View Treks will provide you free transport to international tribhuwan airports.